In the past I have been an art student at art college and I have stretched canvas and daubed paint in a creative way. These days I like my art to be digital, because I think it is great the way that you can create an image on an iPad and you don’t have to worry about cleaning brushes, the smell of the oil paint, having to wait for paint to dry and so on. 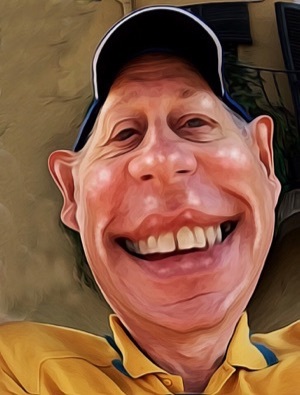 The immediacy of being able to create an image on a digital canvas is absolutely fantastic and now with this application for the iPad called ArtRage we have something that really is like virtually painting. Within this application you are not just choosing a colour, you’re adding paint to a digital brush. When you move your brush across the digital canvas the paint will be spread by the paintbrush and will look just like the paint would in real life. The paint is real and not a never-ending stroke of colour, the paintbrush will only be able to put a certain amount of paint into the image. The paint will tail off as it gets used up by the paint stroke. Then you can load at the brush again, maybe with a different colour and mix the two lots of paint on your digital canvas with your digital brush. You will get similar results to what you would get if you had a real artists paint brush loaded up with paint. It is just that it is without the hassle of having to clean out brushes as you work on your painting. You can choose the surface that you want to paint on. You can have something that would resemble the surface that you get with watercolour paper, or you could have something that would be like canvas that you would use for either acrylics, or for oil paint. There is an infinite range of types and styles of media that you can draw and paint on within ArtRage. Just the same as you can make choices about the surface that you’re going to paint on, you have a huge range of tools that you can use to apply your colour. The speed with which you can make your decisions and choices is fantastic for an artist. If you need to quickly change from one type of brush to another, load it up with paint and start painting, then you can do that with ease. You don’t have to wait for layers of paint to dry in order to be able to paint the next part of your image. You can even choose whether you want to have the digital paint to be either wet or have it dry to achieve effects that wouldn’t be possible in the old-fashioned way. With ArtRage you can use layers that will allow you to work on the background without disturbing or destroying something that you might have already worked on in the foreground of your design. It is still necessary to plan how you want your overall design to work out on your digital space, but you can at least work at it from a number of different angles. So you could work on an important part of your design that is in the foreground and then add a layer underneath that, to be able to add the background. Try to do that with paint on canvas and you would be spending much more time and energy in the creation process. Go and make a masterpiece with your iPad today.